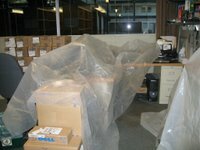 Brown Brown: All Wrapped Up! 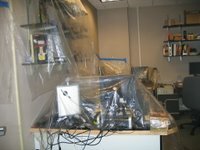 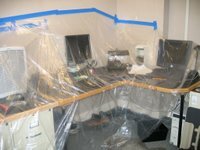 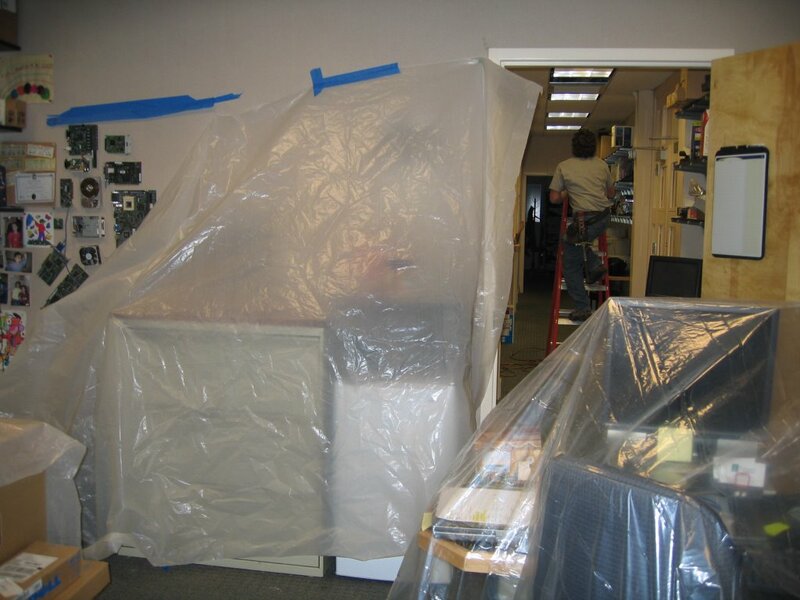 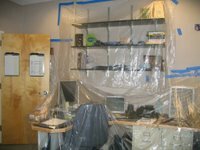 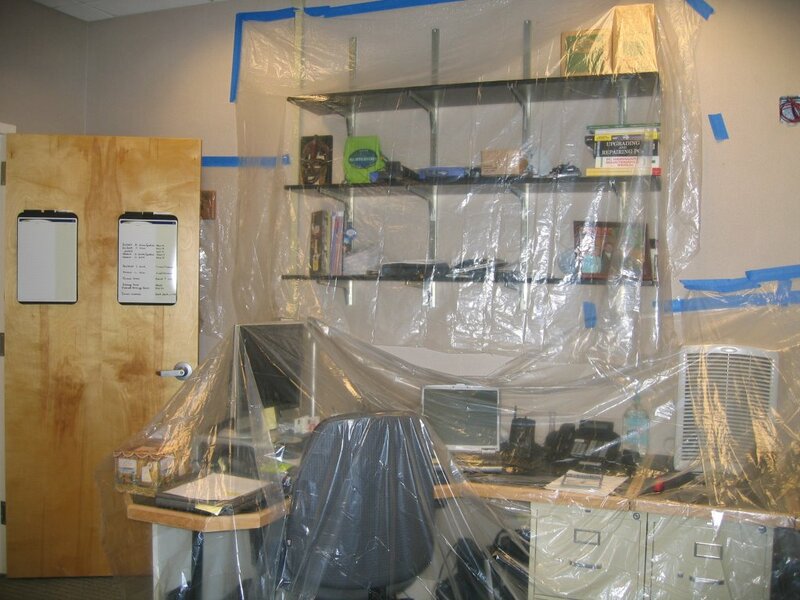 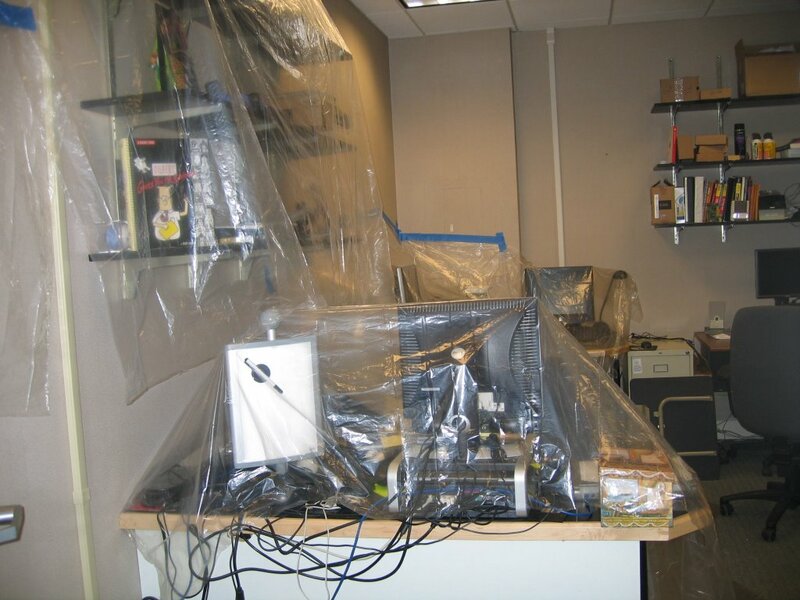 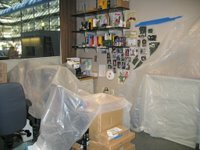 I went to work for a few hours today (Saturday) to catch up on some work, and found our desks and office covered in plastic. 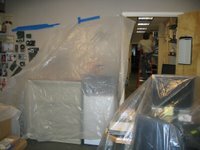 The contractors were installing a new sprinkler system, and they were doing this over the weekend to minimize any impact or downtime on us.